The Hynes is conveniently located just minutes away from Boston’s major highways and is easily accessible from Boston’s Logan Airport and many public transit routes. 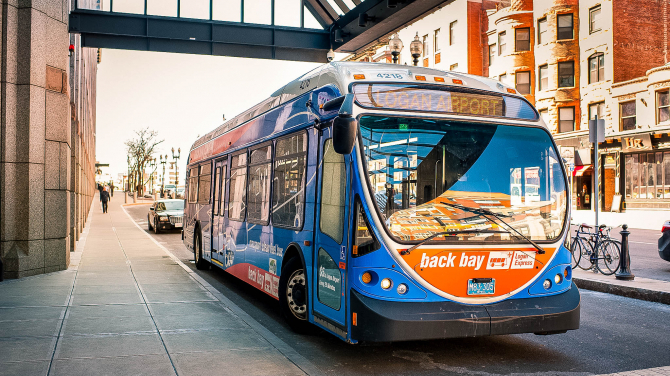 Whether it’s by car, train, or bus, getting to and from the Hynes couldn’t be easier! The Hynes is conveniently located just minutes from Boston’s Logan International Airport. You have many choices for quickly getting to the Hynes after you land, and it’s easy to get back to the airport to catch your flight when it’s time to return home. 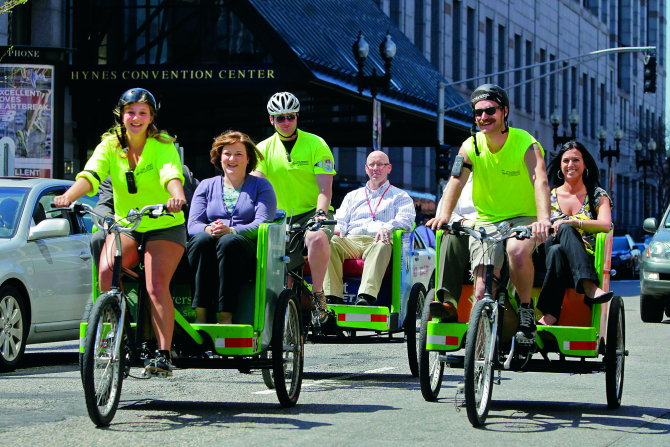 Modes of transport include the public transit, Back Bay Logan Express, and taxi cabs. Taxi cabs can be hailed from the cab stand across the street from the Prudential Center, located just outside of the Boylston Street entrance to the Hynes. The Hynes Convention Center is accessible via several bus routes and is just steps away from four subway stations: Hynes Convention Center, Copley, and Prudential on the Green line and Back Bay on the Orange line. Within a three-block walk of the Hynes Convention Center are numerous parking garages totaling over 4,400 spaces. There is limited meter parking available around the Hynes and adjacent streets. Download our PDF guide of nearby garages for a full list of options. 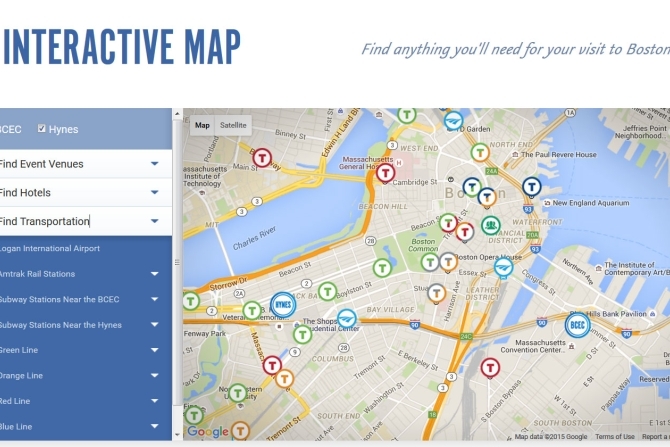 Our interactive map shows where the Hynes is located and with just a click, you can identify the most convenient subway stops near the Hynes or your hotel. 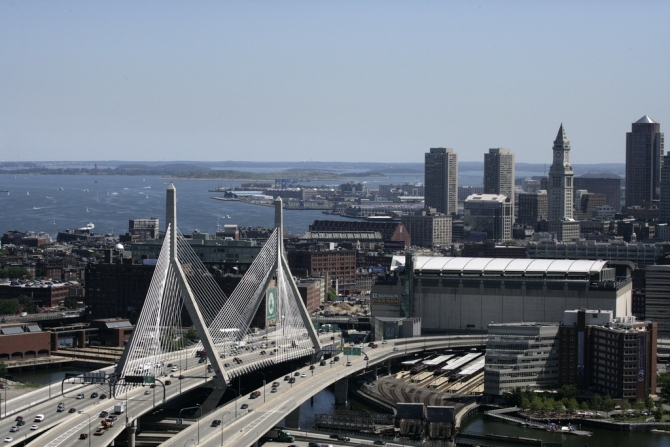 The Hynes is located right off Interstate 90, and is easily accessible from I-93 and I-95. Driving directions are available in the PDF below, or view and customize based on your starting point in Google Maps.